The plantation, located near the Palace by the Mierzęcińskie Lake, occupies 6,75 ha. It is one of the largest vineyards in the country. First planting took place in autumn of 2004. 27 thousand bushes grow on a vast, gentle slope directed due south, south-west and on a flat terrain 60 metres above sea level. The vineyard rises over the surrounding area and it creates, together with the lake, nearby forests and meadows, an exceptionally picturesque landscape. The local microclimate is conducive to grapevine cultivation. Old, pre-war bushes found in the nearby homesteads attest to that. Winters at Mierzęcin are mild and summers are sunny and dry; this enables the bushes to produce ripe and succulent fruit. We grow 19 grafts at the moment, mainly varieties of white grapevines: Kernling, Riesling, Solaris and Seyval blanc as well as red grapevines: Rondo, Regent and Zweigelt. We also possess small amounts of hybrids such as Sibera, Bianca, Hibernal, Muscat Odesski, Biona and Merzling. In order to ensure the highest quality of grapes and the wine produced from them, the processing plant was equipped with reputable technical facilities. High-tech wine making equipment helps to keep proper environment for such a sensitive and demanding beverage as wine. 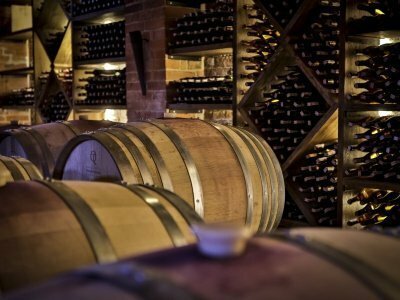 The Wine Cellar is in one of the oldest buildings in the Mierzęcin Palace complex and since its renovation it ensures perfect conditions for ageing and maturing of the wines. 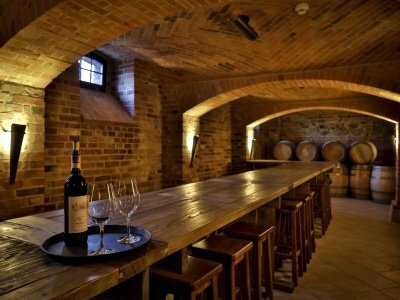 The unique climate of the cellar and its preserved architecture create an excellent atmosphere for the wine tastings held here. I didn’t spend the night at the hotel but I went to Mierzęcin with my family in order to see the vineyard. An incredible experience and fantastic Mr. Dariusz for whom taking care of the vineyard and production of wine is not only work but also passion and whole life. It’s really worth it! Piotr Stopczyński, a certificated oenologist, watches over the cultivation of the grapevine, the selection of fruit for individual varieties of wine, its making and storing. He has begun his career in the United States where he studied at the University of California in Davis and in the Napa Valley College. He worked, among others, at Charles Krug, Domaine Chandon, Napa Wine Company, Waterstone Winery and Diamond Oaks Winery. Today, Piotr Stopczyński is one of the leading Polish oenologists and the wines made under his supervision have won numerous prizes as well as the appreciation of connoisseurs. 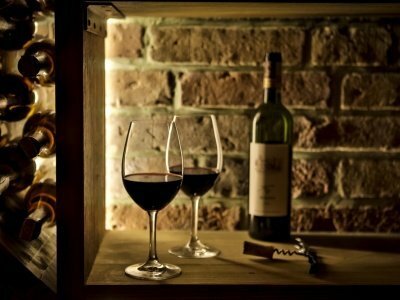 Wine is not only his work but it is also his life’s passion. He still fathoms its secrets by getting acquainted with new areas of oenology, wine tasting and combing it with different dishes.